I started working on my newest project a few weeks ago and I think it’s time I wrote about it here as well. It’s called “CryptoHaven” as you may have guessed. If I had to categorize it, I would say it’s a mystery, though you won’t be running around collecting clues and interrogating people. The story does however revolve around a mysterious character and it’s your goal as the player to discover his identity. It’s a pretty big project, as big as SFM probably. Given my track record, this game will probably not be ready in less than a year so… yeah. ^^ I’ll make a new page dedicated to the game, with more information and pictures soon. 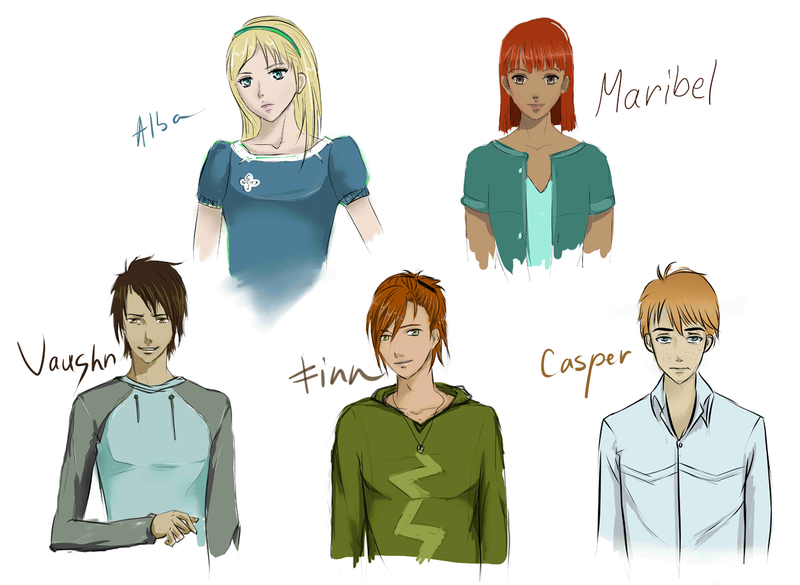 For now, here is some concept art for the characters. The names might not mean much now, but you can probably get a sense for their personality.